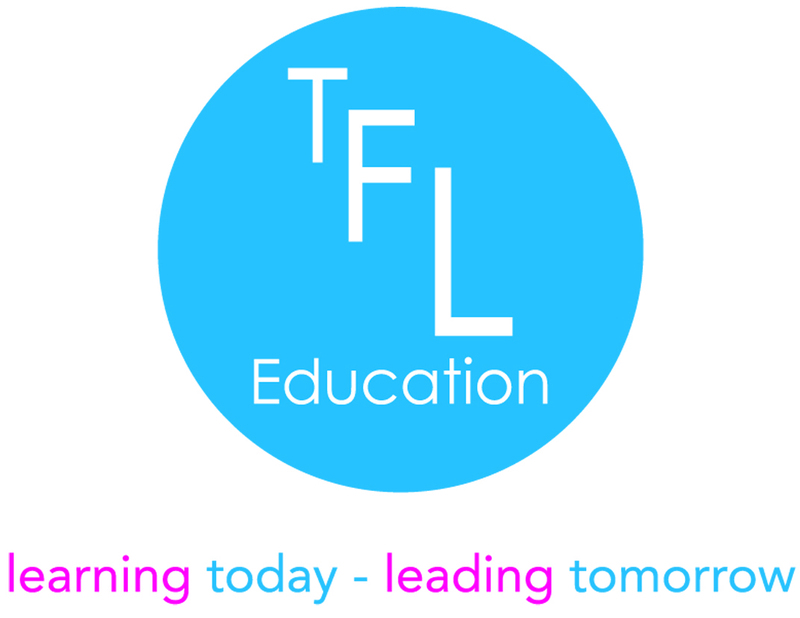 Level 5 Management and Leadership | TFL Education We provide Character and Leadership educational courses for primary schools and secondary schools. Empowering individuals to become successful citizens. The Level 5 Management and Leadership qualification is awarded to outstanding middle leaders. Awarded by the Chartered Management Institute, it is recognised throughout the public and private sectors and across all management disciplines. The aim is to support the development of management and leadership skills, which can be used to impact learning in the classroom. The management and leadership skills can immediately be implemented by those who have responsibility to lead and manage individuals and teams to deliver aims and objectives in line with the school’s vision and values. The first stage of the qualification process requires middle leaders to reflect on their school’s vision, strategic goals and objectives. Why do we do what we do? The second stage of the qualification process requires middle leaders to focus on their personal leadership development and evaluate its effectiveness in delivering day to day results and driving best practice to support the school’s vision and values. The third stage of the qualification process requires middle leaders to focus on improving practice by developing, implementing, and evaluating research-focused projects that support the school’s vision and values. This unit is about understanding how organisations operate and the importance of organisational culture, strategic aims and objectives. Understand factors which impact on an organisation’s environment. Understand the application of management and leadership theories. Understand the knowledge, skills and behaviours to be effective in a management and leadership role. The purpose of this unit is to support middle leaders to identify the benefits of engaging in personal and professional development. Understand the value of reflective practice to inform personal and professional development. Know how to apply reflective practice to inform personal and professional development. This unit focuses on the theoretical and practical approaches to developing, leading and managing teams. The aim is for middle leaders to develop understanding of how to confidently use their knowledge, skills and abilities to support colleagues, not only to perform well, but to exceed expectations. Understand approaches to developing, managing and leading teams. Understand approaches to achieving a balance of skills and experience in teams. Know techniques for leading individuals and teams to achieve success. 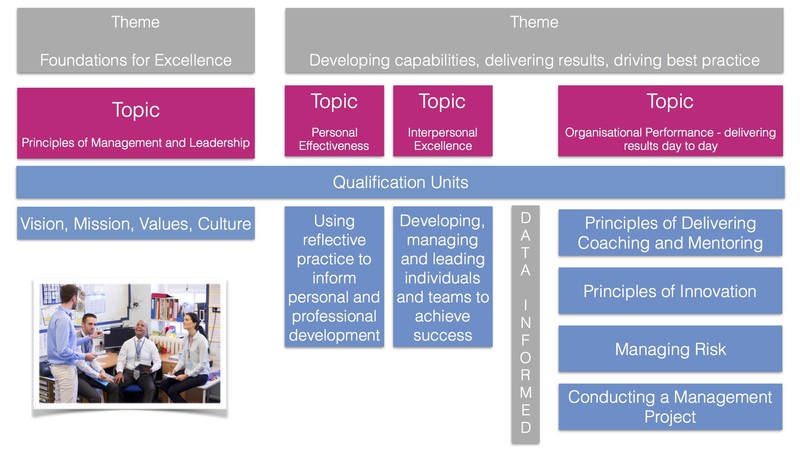 This unit aims to equip middle leaders with the knowledge of the principles and practices of delivering coaching and mentoring, and the impact these techniques can have in the development of a high-performance culture. Understand the role and purpose of coaching and mentoring within an organisation. Understand the use of models and processes used in workplace coaching and mentoring. Know how to manage the delivery of effective coaching and mentoring. This unit has been designed to enable middle leaders to identify opportunities for innovation, analyse the rationale for developing initiatives and know how to turn ideas into reality. Understand the role of innovation within organisations. Understand the process of managing innovation in an organisation. This unit helps middle leaders to evaluate types of business risk, the governance and approaches for managing these effectively, and how risk management can be implemented successfully within organisations. Understand the scope of business risk management. Understand the process of managing business risk. This aim of this unit is for middle leaders to conduct management research which will have an impact on organisational practice. It is expected that middle leaders will plan and manage a genuine project in the workplace or an academic enquiry relevant to an identified business need or challenge. Know how to plan a management project. Be able to conduct a management project.